I must have come across Rob Baker’s fantastic blog Another Nickel in the Machine six or seven years ago, although it first appeared online in 2007. I suppose that the blog is best described as a series of stories about places and events in London. But that doesn’t begin to take account of the range of personalities, genres, time periods and sheer battiness covered. Just look at some of the people who appear in its entries: Mary Quant, Benny Hill, Guy Burgess, Charlie Chaplin, Christine Keeler, William Joyce, Ronnie Kray, Keith Moon. For each of these names there is a long, well-researched and quite captivating story about a particular incident in their life, pointing out connections that must have seemed bizarre at the time and almost unbelievable now. For instance, how on earth did the writer Colin Wilson (author of dozens of books in the 1950s and 60s but almost forgotten now) manage to inveigle himself into a film screening with Marilyn Monroe (and Laurence Olivier)? The answer to this is on the website, but even better for those of us who still like to access our information on pieces of paper gathered together inside a cover (it’s called a ‘book’, Jennifer — ask your grannie), it has now been published in hard copy form. 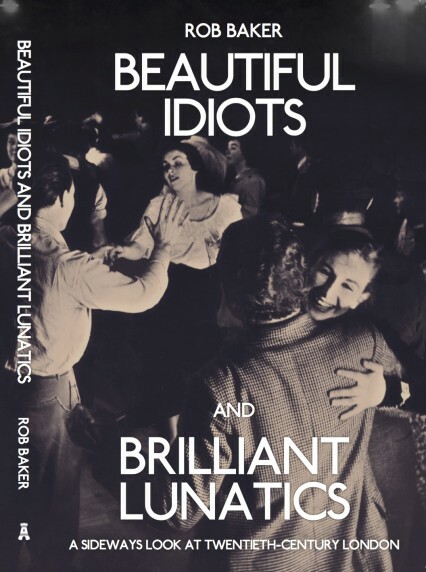 Each essay (it seems appropriate to give the articles a grown-up name) has been revised and often extended for this quite wonderful publication, which is called Beautiful Idiots and Brilliant Lunatics. £14.99 will buy you a copy from your local bookstore, or you can source it online from the usual emporia.